Did you have your hopes up for Florida Gators women’s basketball to make the splash the program has so desperately needed? Well, you’ll need to look somewhere else. According to SwishAppeal.com, which first reported mutual interest between Florida and San Antonio Spurs behind-the-bench assistant coach Becky Hammon, the former WNBA superstar has declined the Gators’ offer to succeed Amanda Butler as head coach. 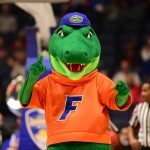 OnlyGators.com confirmed that Hammon was a finalist for the Florida job, and The Vertical‘s Adrian Wojnarowski recently reported that she was offered the position with a substantial contract that had her seriously considering leaving the NBA. A source close to the process told OnlyGators.com that financial terms were not discussed with the coach, and her decision was not based on money. 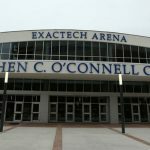 Hammon, 40, was reportedly one of three finalists for the job and visit led Gainesville, Florida, before the end of last week. A former star at Colorado State, Hammon went undrafted when she turned pro but starred for 16 years in the WNBA as the floor general for the New York Liberty and San Antonio Stars. Hammon was a six-time WNBA All-Star selection who is regarded by the league as one of its top 15 players of all time. Following her playing career, Hammon was hired by Greg Popovich as an assistant with the Spurs, where she has coached since 2014. She was the first full-time female coach in NBA history. Hammon got her first taste at being a head coach in the summer of 2015 when she not only led San Antonio’s summer league team but won a title. Hammon likely faced a difficult decision. While she may want to be the first female NBA head coach one day, she is currently the No. 4 assistant on San Antonio’s staff but honing her craft daily under Popovich. Massive success on the collegiate level could allow her to return to the NBA one day as a top assistant and eventually move into a head coaching role, but struggling in college could delay and stunt her ascension in the professional ranks. If you want to make a big splash, you’re going to have to pay for it. Now it just looks like a failed PR stunt. Saw her the other night sitting in the second row with her clipboard. Pop doesn’t even let her into the huddle during a timeout. I guess that is better than Florida HC.